Farming is a risky industry, as there is no way to control Mother Nature. Adverse weather conditions can have a disastrous effect on crop fields, negatively impacting a farmer’s livelihood. Although severe weather can’t be prevented, it is possible to prepare for it and mitigate potential losses by buying crop insurance. Here are some of the different types of weather a crop insurance policy will offer protection against. Hail can be just as detrimental to crops as it is to any solid surface. The chunks of ice can leave foliage damage, bruise fruits and vegetables, or destroy a crop. Nebraska farmers get a great deal of hail every year, making it especially crucial to have crop insurance. Many crops don’t have the structural strength to withstand high winds. They can be pulled right out of the ground or knocked over. Other problems windstorms cause is the dispersal of seeds and movement of soil, which can lead to erosion. Additionally, crops can be dried out from wind exposure. Tornadoes are a highly destructive weather phenomenon. They typically leave a trail of devastation in their wake, particularly when crops are in their path of movement. 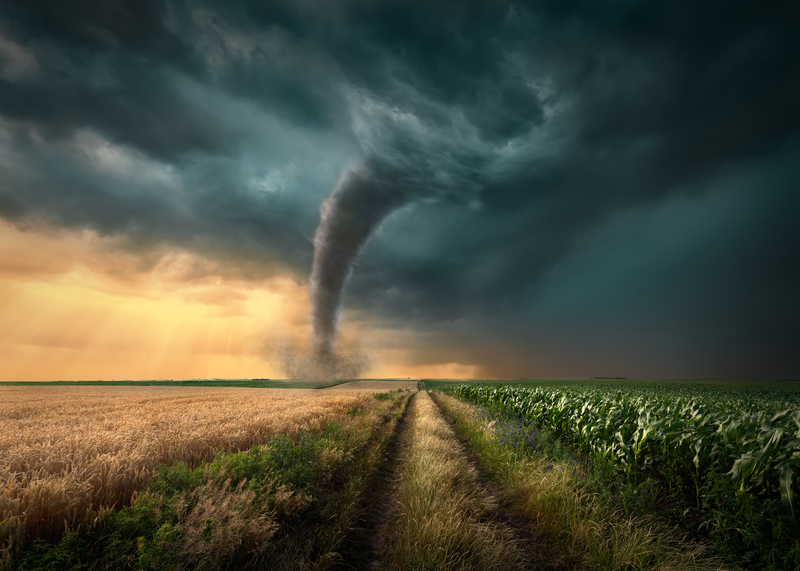 Crops can be severely damaged from an encounter with a tornado, and seeds are likely to be dispersed in various directions. Drought is one of the most common weather-related issues farmers must deal with. If there isn’t a sufficient supply of water, crops can’t grow. Even if farmers use their irrigation systems, a long drought can destroy an entire field of crops and lead to a substantial income loss. Crop insurance will help make up for this. Heavy rainfall from thunderstorms often results in flooding. Excessive amounts of water drown crops and put farmers at risk of soil erosion and landslides. It can also increase the threat of diseases in plants and deplete their oxygen. If crops haven’t been planted yet, flooded areas will delay this process. In the event of severe weather, crop insurance allows farmers to recover quickly and begin getting ready for the next harvesting season. For over 35 years, Nebraska Crop Insurance Agency has been entrusted to help Beatrice, NE, farmers find the right insurance coverage for their operations. They carefully assess each client’s needs to determine which policy will provide the most protection for crop yield and revenue. Call (402) 223-2694 to request a quote, or visit them online for more information.